Date at DTR Trading wrote an excellent series on cons / pros of using Adjusted data for momentum strategies. “Adjusted” - split and dividend adjusted price data. 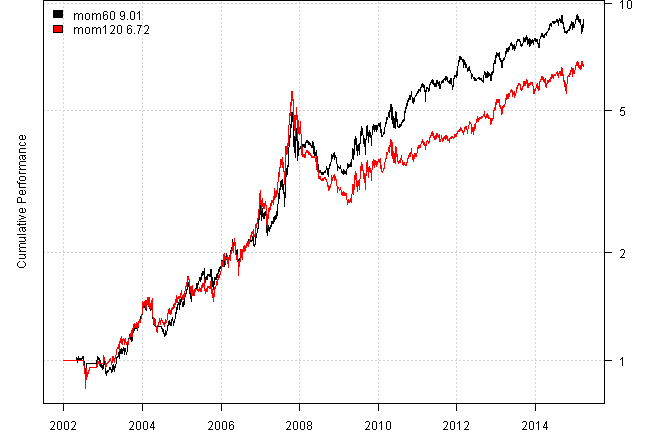 The signals and P&L are derived only from the adjusted data time series. “Actual” - using only split adjusted data, that has not been adjusted for dividends. 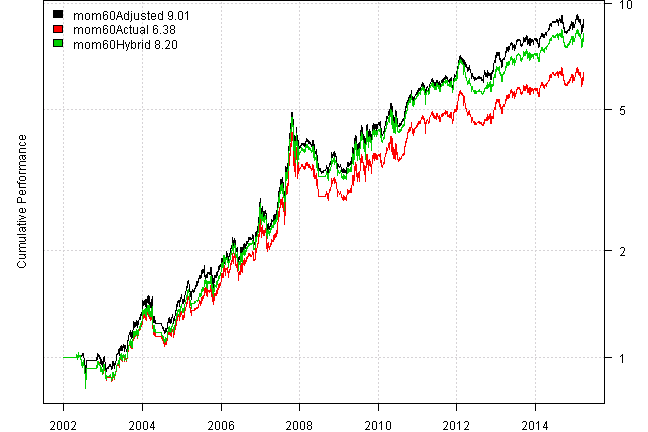 The signals and P&L are derived only from the only split adjusted data time series. 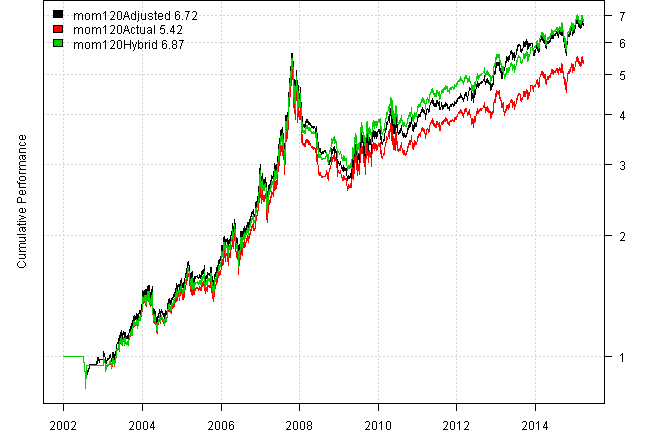 “Hybrid” - use “Actual” time series for signal generation and the “Adjusted” time series for the P&L calculation. In agreement with source Adjusted and Hybrid outperform Actual.